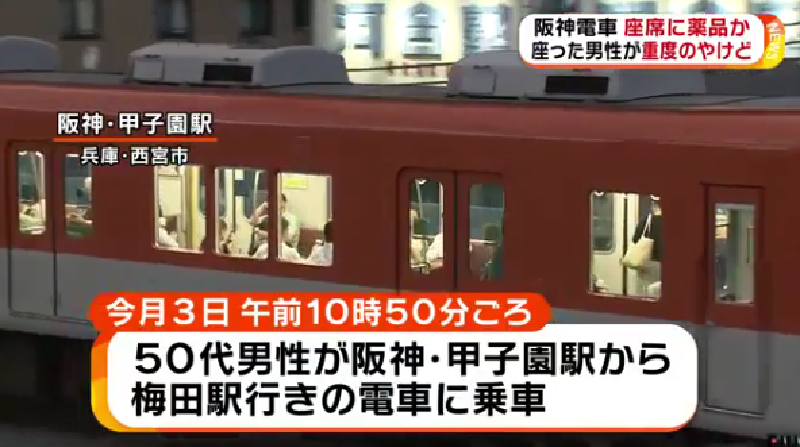 HYOGO (TR) – The buttocks of a male commuter suffered serious burns from an unknown chemical applied to a seat of a train he used earlier this month, Hyogo Prefectural Police revealed on Monday, reports the Asahi Shimbun (Sept. 10). At around 11:00 a.m. on September 3, the man, aged in his 50s, boarded the Hanshin Railway Main Line train at Koshien Station and sat down on the seat. After noticing that the cushion was wet, he then changed to another seat and felt a tingling pain. At his feet was a plastic bottle without a label, according to police. That same day, the man visited a hospital. The results of a medical exam revealed that he had suffered burns from an unspecified chemical. As of Monday, he remained hospitalized with the area of his buttocks that contacted the cushion still inflamed. The train originated at Nishinomiya Station. 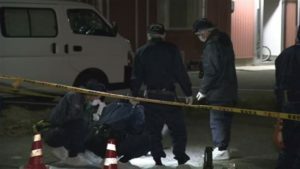 Upon its arrival at Umeda Station, the man consulted with the Sonezaki Police Station. 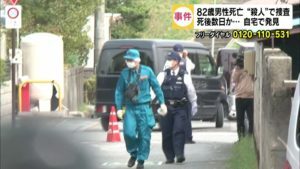 Police suspect that someone poured liquid on the cushion in an attempt to disrupt the operations of Hanshin Railway. There have been no other reports of similar cases. People are treating the case as inflicting injury. A representative in the public relations department of Hanshin Railway confirmed that a passenger had been injured by an unknown liquid. “With the matter under investigation, we can not say anything further,” the representative said.